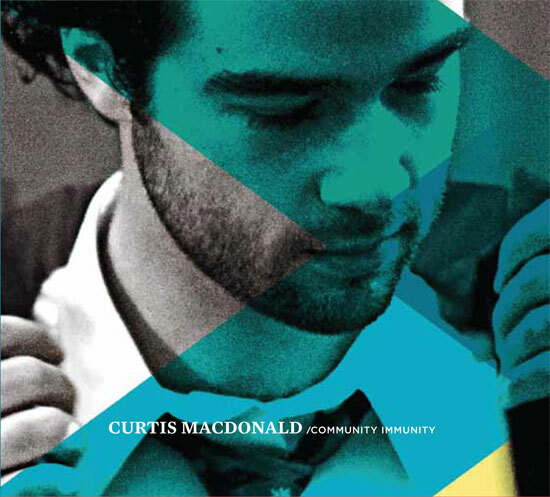 To simply label Curtis Macdonald a “jazz musician” not only makes use of a term that fails to adequately describe most postwar improvisational music, but also diminishes the work of an exciting, young composer. 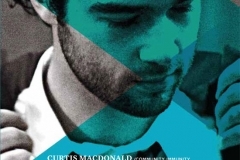 As an alto saxophonist, sound artist, and production engineer, Macdonald brings an array of talent and experience to his first studio album, Community Immunity, released earlier this year by Greenleaf Music. Even at twenty-six, Macdonald’s smart enough not to pander to popular trends nor isolate himself in the avant-garde. Community Immunity is a mosaic of textures, rhythms, competing ideas and aesthetics. There’s an element of self-consciousness on the record and a sense that the core players—Chris Tordini (bass), Greg Ritchie (drums), Jeremy Viner (tenor sax & clarinet), and David Virelles (piano)—challenge every phrase with both form and recklessness. In this sense, Community Immunity follows in the tradition of highly nuanced albums like Julius Hemphill’s Dogon A D. (1972) or Colin Stetson’s New History Warfare Vol. 2: Judges (2011). Like those artists, Macdonald isn’t interested in simply making a “jazz record,” but aims to achieve what the great pianist Cecil Taylor referred to as a moment of living that becomes itself a musical process. Born and raised in Calgary, Macdonald moved to New York City to attend The New School, where he earned a BFA in 2007. 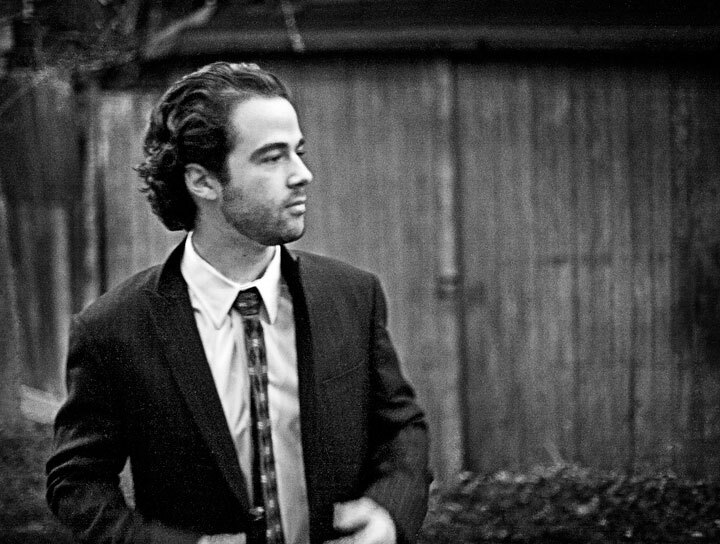 He lives in Brooklyn where he works as a saxophonist, composer, producer, and music teacher. The Fiddleback: Community Immunity is an interesting title. In the liner notes, you define community as “a group of interacting species sharing a common environment” and immunity as “a condition that permits natural or acquired resistance.” How did you come up with the title? Curtis Macdonald: I liked the implication of multiple meanings. “Community Immunity” is also known as “herd immunity” which is a biological phenomenon. For instance, if infectious contagions are trying to penetrate a close-knit group or species that share a common environment, these diseases are unlikely to penetrate the group. This idea has a “united we stand, divided we fall” connotation that I feel is appropriate in this day and age, and for making and sharing music with others. Another way of thinking of it is that a group of people can also display the characteristics of one and, perhaps more importantly, vice versa. The Fiddleback: How did you approach the material for this record? How much of what we hear is improvised and how much has been composed? CM: If you were to look at the sheet music, each composition fits on a single page. All it contains is a general musical structure, something that we improvising musicians like to call form. It provides a basic framework for improvisation, and it’s something that can be molded and shaped to one’s content, just like a potter shapes a mound of clay. In this respect, nearly all of the material you’re hearing is improvised, yet it’s grounded with an underlying structure of which the improviser chooses to interact with or depart from. …I had no premeditated idea on how it was going to turn out. I believe the biggest danger a composer can get into is expectation. It spawns only fear. The Fiddleback: Did you record tracks separately (instrument-by-instrument), or did you record live as a group? CM: The band played live as a group in the studio. Then, as I was selecting the strongest takes, I added a few things like guitar in “Figmentum II,” which a studio environment affords me the ability to do. In my experience, it’s not possible to convey a sense of live, organic energy if you are recording every instrument individually. This produces a very different kind of music. The Fiddleback: While your alto certainly stands out on the record, it never dominates the other musicians in the group. Rather than playing off the traditional call-and-response model, it sounds like you’re mostly trying to create interesting textures. Did you go into the record with the goal of producing something sonically diverse? CM: Yes, I’m very aware of painting a picture with a dynamic sonic landscape. It’s one of the ways that I, as a listener, stay engaged in the music. Utilizing diverse instrumentation is one way of achieving this, but embedded within each instrument lies an entire spectrum on tone and timbre to exploit. The musicians featured on this record are all masterful, world-class musicians who have developed an extraordinarily unique individual voice on their instrument. I’ve worked with them across a variety of settings throughout the last decade as well as some of my earliest collaborators when I arrived to New York City. The Fiddleback: Two of my favorite tracks, “Second Guessing” and “The Living Well,” are very rockin’ tunes. I even think of the “The Living Well” as the record’s “When the Levee Breaks.” Can you talk about the inspiration for these songs? CM: They are certainly the hard-hitters on the record. I keep a strong awareness of the changing sonic territory in order to provide contrast across an album and these pieces are certainly the energy tunes of the lot. Their inspiration is impulse-driven tendencies, yet the form is still leashed to the churning-drive underneath. I can see why many people like “The Living Well,” as two horns in unison grabs your focus right from the beginning. It also is one of the few tunes that’s written in 4/4 time, which is commonplace among popular music. The musicians in my band affectionately refer to it as the “rock tune” on the album, which it is. 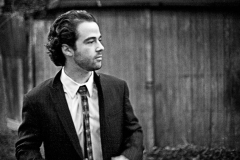 The Fiddleback: Tracks “Figmentum II” and “The Imagineer” refer to creative acts. What is your creative process like? Do you see composing/arranging as a type sonic storytelling? CM: Yes, just like a photograph captures an image of a moment in time, so does an album of recorded music. I composed with this idea in mind, conjuring up feelings that I wanted to tell. String these feelings together and you have a story. As I wrote, the pieces took on a life of their own, which allows the musicians to interpret the content freely in their improvisations. I use many compositional methods and systems like many writers, but in the end it’s up to my intuitive self to determine what becomes final. A significant part of this process is knowing when to stop. A grain of salt is often needed in the compositional process, which often extends into the recording process. A very prolific and wise man once said: “If there’s in a problem with a composition, fix it on the next one! The Fiddleback: The refrain in “Figmentum II” sounds like you integrated a conventional lounge melody only to then displace it with improvised verse segments—much like how storytelling usually involves spinning familiar archetypes into something new. How did you work out the arrangement? CM: I’m not sure I know of the “lounge” aspect you’re referring to, but in terms of the arrangement, I had an intention of taking the piece through a myriad of events, similar to how your imagination can compound thoughts on itself, but I had no premeditated idea on how it was going to turn out. I believe the biggest danger a composer can get into is expectation. It spawns only fear. Frank Herbet, the author of Dune, put it simply: “Fear is the mind killer.” As a bandleader, I offer my bandmates a basic form of the music, encouraging them to “make it their own” so-to-speak, sharing with us a piece of their vivid, even lucid imagination, free of my, or other’s, expectations. The Fiddleback: Given that improvisational nature of your music, do you feel limited by the recording process? CM: I don’t feel limited by the recording process, but it takes a lot of conscious effort to produce a desirable performance in a studio environment, and, of course, you can still improvise. The question to is ask is what did music sound like before we had technology to document it? The Fiddleback: What’s on your horizon for 2012? CM: I have half of a new album in the can waiting to be finished. There will be more performances in New York City. I have two commissioning projects that are also scheduled to resume. There is no shortage of work to do. And time is of the essence.